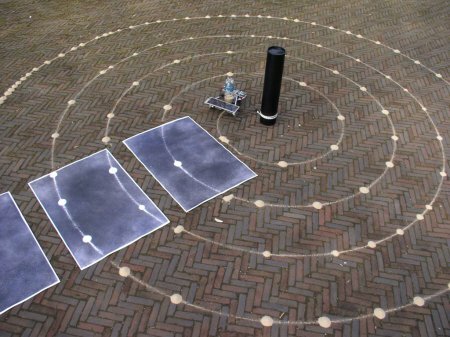 The Solar Spriral Drawing Sunrise is a small solar powered robot cart driving around a pole. 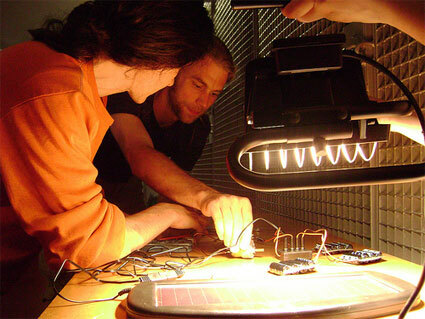 This project by Esther Polak was conceived at the Medialab Prado in Madrid during Interactivos?08. I designed and build the electronics for the first prototypes. Recently it has been nominated for the ‘Akademieprijs Astronomie en Kunst 2015’. September 13, 2009 | Filed under art, festival, outside, technology.